The University of Maine at Presque Isle is pleased to announce that it will kick off its 2014-2015 University Distinguished Lecturer Series with a talk by Eliot Coleman, a nationally known organic farming expert and the author of The New Organic Grower,Four Season Harvest and The Winter Harvest Handbook. Coleman will deliver his talk, Nothing Is Impossible: The Possibilities of Feeding the World, on Tuesday, Sept. 23, at 7 p.m. in the Campus Center. Coleman’s talk is free and the public is invited to be a part of this special evening. During his talk, Coleman will discuss the relationship between modern education and agriculture and how a successful agriculture can strengthen our relationship with the natural world. Coleman has more than 40 years of experience in all aspects of organic farming, including field vegetables, greenhouse vegetables, rotational grazing of cattle and sheep, and range poultry. With fellow writer Barbara Damrosch, Coleman owns and operates Four Season Farm, an experimental market garden in Harborside, Maine, that produces vegetables year-round and has become a nationally recognized model of small-scale sustainable agriculture. Together, the two hosted the TV seriesGardening Naturally on The Learning Channel. Coleman has written extensively on the subject of organic agriculture since 1975, including chapters in scientific books and the foreword to Keeping Food Fresh: Old World Techniques and Recipes by the gardeners and farmers of Terre Vivant. 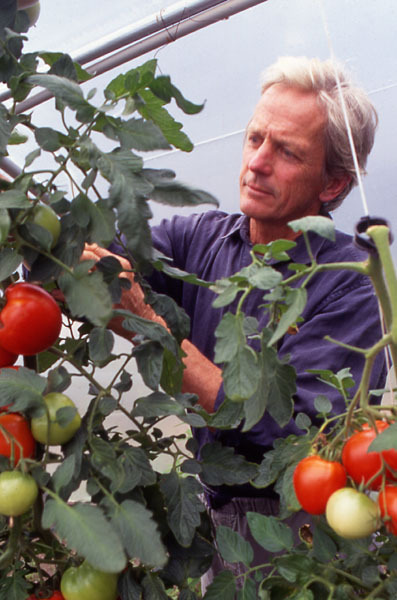 His book The New Organic Grower is considered a modern classic and a must-read for organic farmers and market gardeners everywhere. 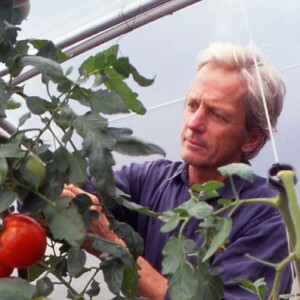 Coleman has conducted study tours of organic farms, market gardens, orchards and vineyards in Europe and has successfully combined European ideas with his own to develop and popularize a complete system of tools and equipment for organic vegetable growers. He shares that expertise through his lectures and writings, and has served as a tool consultant to a number of companies. He presently consults and designs tools for Johnny’s Selected Seeds. Coleman has received high praise from many corners. Martha Stewart, magazine publisher and television host, said: “I have been a devotee of Eliot’s for years, fully agreeing with his methods for growing in winter, spring, summer, and fall, tasty nutritious produce with a minimal consumption of fossil fuels.” And Michael Pollan, author of The Omnivore’s Dilemma and In Defense of Food, said: “Eliot Coleman [is] one of America’s most innovative farmers.” More information about Coleman can be found on his website,http://www.fourseasonfarm.com/. All are invited to attend Eliot Coleman’s distinguished lecture. For more information about this event, contact the University’s Community and Media Relations Office at 207-768-9452.